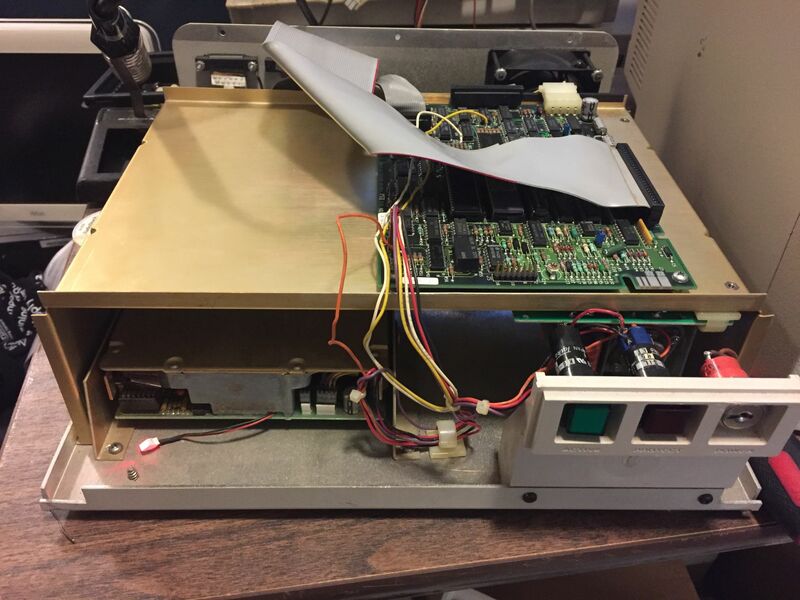 After receiving a large lot of model 12/16b stuff in the fall of 2016, we were able to determine that the floppy drive itself is ok, the problems were related to the system board. Given the lack of external case parts for the 6000, we decided to combine all of the good components into a working model 12 that was part of that lot. From the original model 6000, we ended up keeping the floppy drive, video board, keyboard shell, hard disk adapter, card cage, and we decided to use the new power supply. 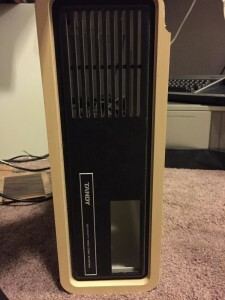 The model 12 case is in outstanding condition and cleaned up nicely. 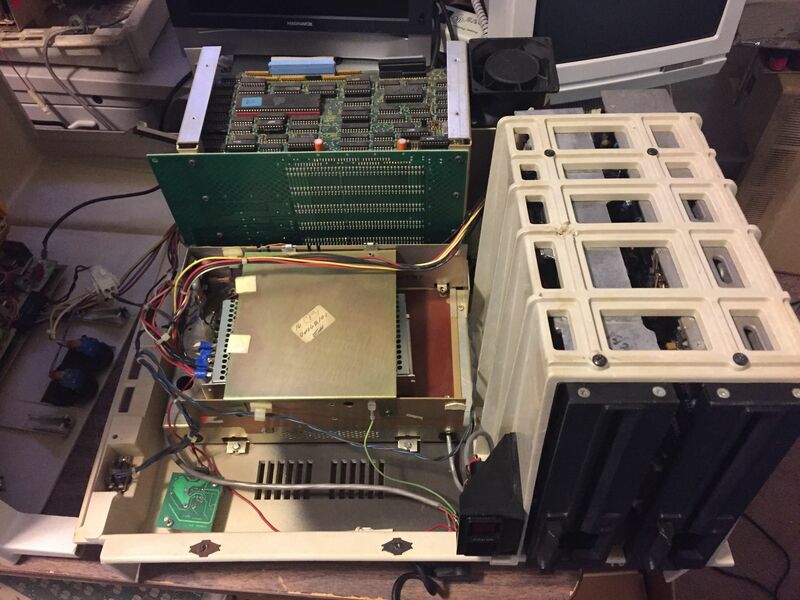 We kept the system board, second floppy drive, and CRT from the model 12, added the parts from the 6000 (model 12 does not have a expansion card cage), and then used the 68000 boards from the model 16b that was also in that lot but was in very poor condition and did not power up. 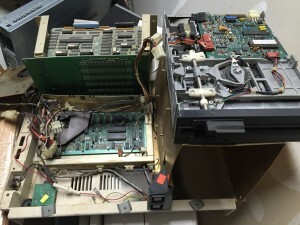 We completed the restoration of the external disk drive, although not with the intended Seagate ST-251-1 40 meg drive. 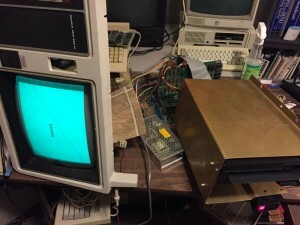 We could not get that drive to format, so we substituted a MiniScribe 3425 20 meg drive that worked better. 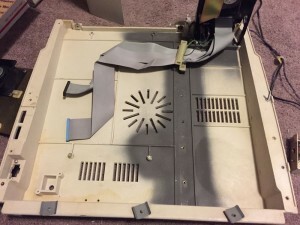 The internals from the model 12 keyboard were used, with replacement foam pads, along with the 6000 keyboard shell to complete a nice looking, non-yellowed keyboard. 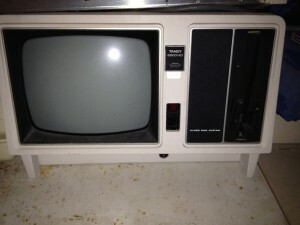 This also leaves us with multiple spare parts to keep this system running for years to come. 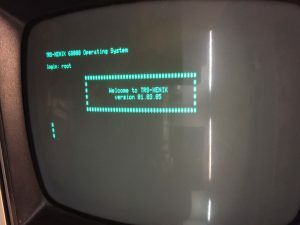 Multiple head cleanings later we successfully installed Xenix 1.3.5 and most of the development system, connected the WY-60 terminal and have a multiuser system ready to go. We would like to thank Peter Cetinski for helpful hints and donating some essential troubleshooting disks to this effort. 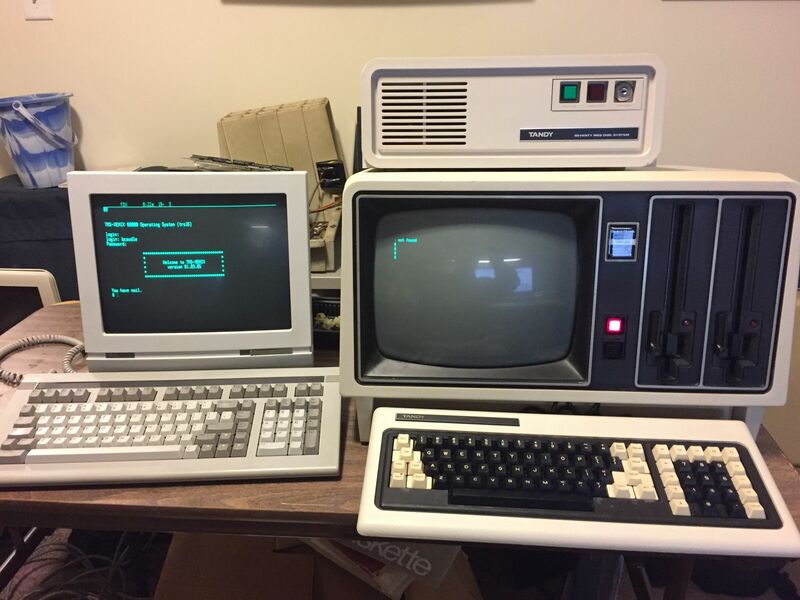 Partial reassembly complete, but at this point there is nothing more we can do until we can obtain a working floppy drive to continue to troubleshoot the booting issues. 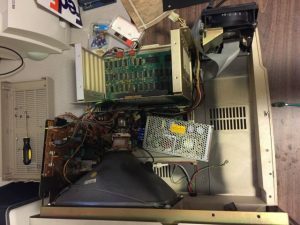 7/27/2016 – Update on restoration! Much progress has been made over the past few weeks. Starting with thorough cleaning of case parts and testing of individual components. 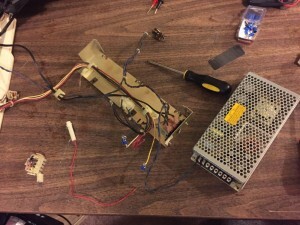 We went ahead and got the RQ-125D modern power supply and modified the wiring harness to attach it. 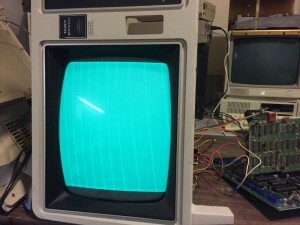 Motherboard testing with video/keyboard board was next, and after a few RAM chip swaps, reseating, and fixing a couple of bent contacts we have a functioning CRT, video, and motherboard. 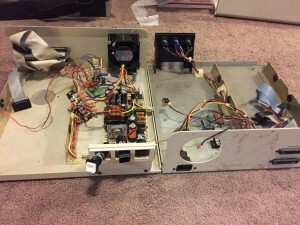 Unfortunately, it appears that the Tandon TM848-E 8″ floppy drive is dead. 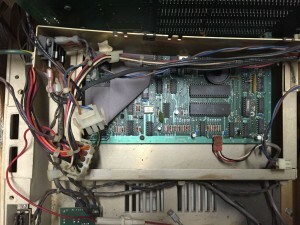 We gave it a thorough cleaning and reassembly, but the logic board appears to have failed. 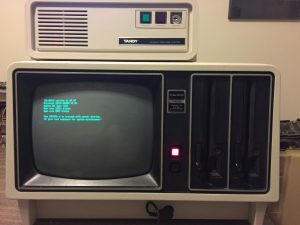 The computer does not detect it, and none of the self tests using the jumpers will respond at all. 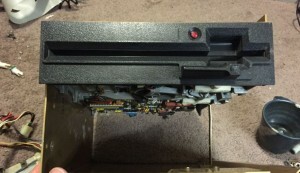 The motor spins when the latch is closed, that is about it. 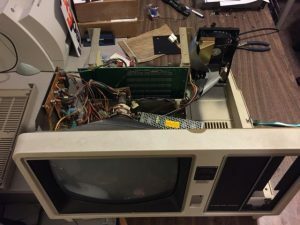 7/5/2016 – Restoration of Tandy 6000 is underway! 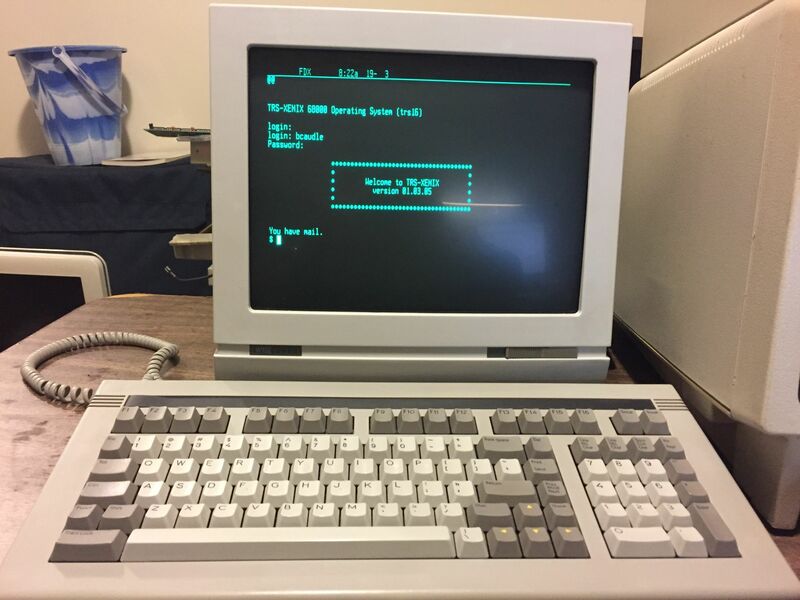 This machine holds some personal significance as it was my first significant attempt at administering a Unix-like system (Xenix in this case). 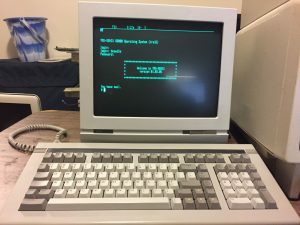 At one point this system had some terminals attached along with dial-up modem to allow for remote users to access the system for mail and other utilities. 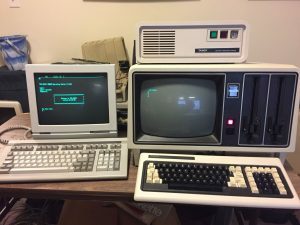 Once it died, I moved on to Linux which was becoming popular in the early 90’s. 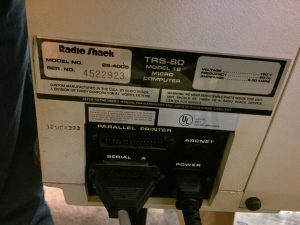 The system is missing some components, including power supply, case lid, and functional hard drive. 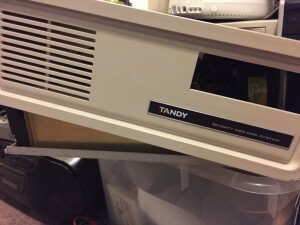 At this point, we are focusing on building a complete Tandy hard drive enclosure and controller combination, and then moving on to the system unit. 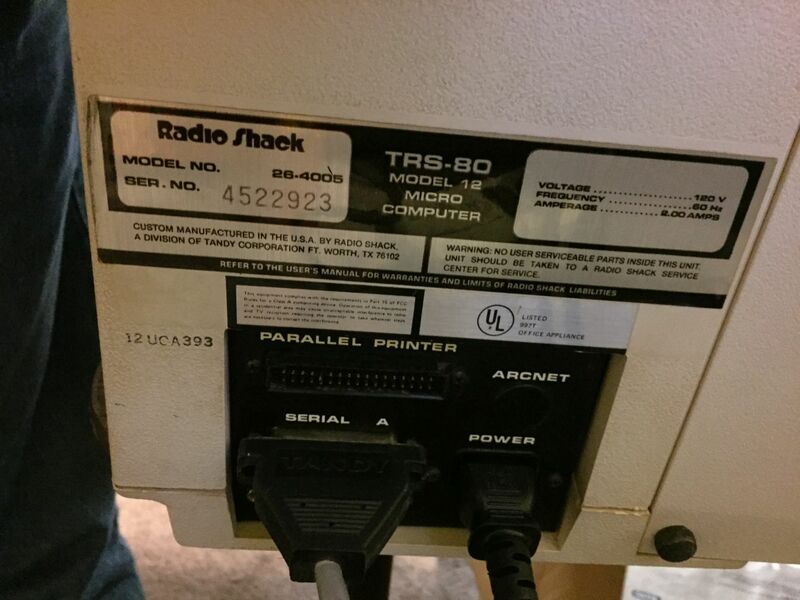 All of the expansion boards are present, along with one 8″ floppy drive, motherboard, CRT, etc. 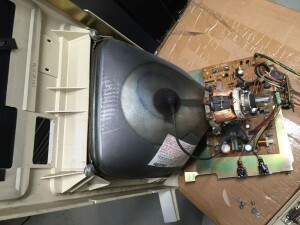 Components will be cleaned and reinstalled, with the first milestone including replacement power supply and power-on of motherboard and required boards only. 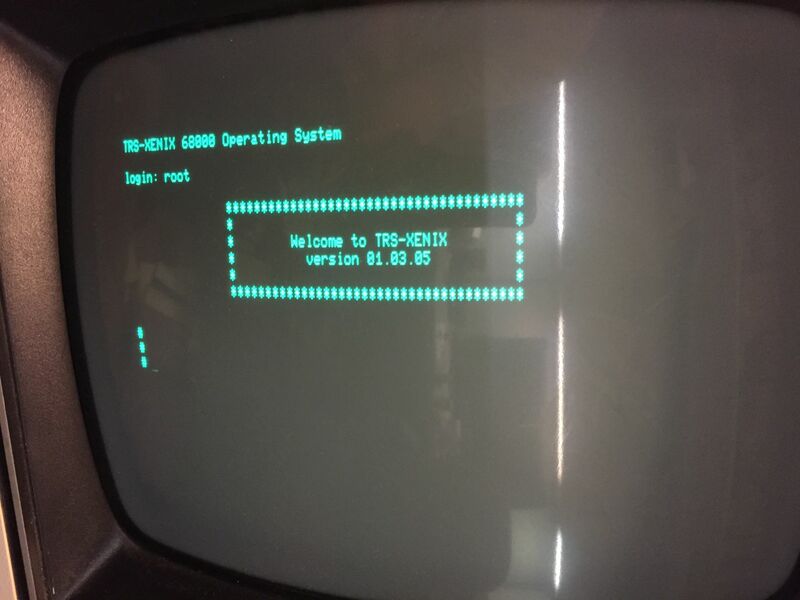 Initial testing will be to boot to a floppy (TRSDOS or Xenix install). Once that initial work is complete, we will determine how much more to invest in this restoral.